Journalist Atif was praying when men fired at him thrice, one of bullets pierced his body and injured Imam also. 18 January 12 18:33 GMT || BBC. The Taliban in Pakistan have said they killed a journalist while he was praying in a mosque near the city of Peshawar on Tuesday. Mukarram Khan Atif – who worked for the Voice of America broadcasting service – was shot in the head by attackers on a motorcycle who fled from the scene. His death has been condemned by his employers and by campaigning groups. The Reporters Without Borders campaign group say Pakistan was the deadliest country for journalists in 2011. Last year, 10 journalists were killed there as a result of their work, the group says. 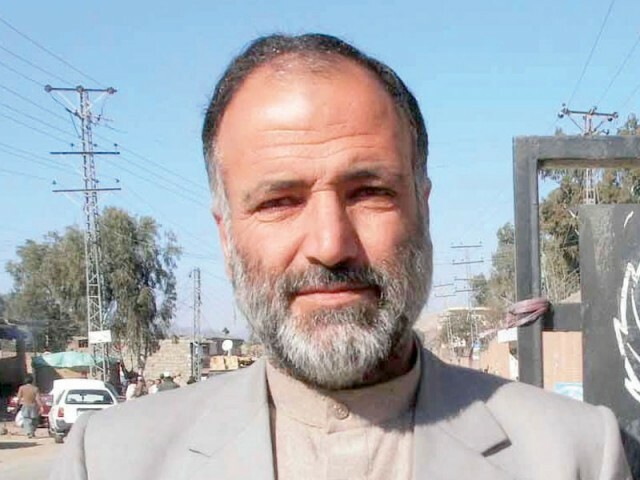 Mr Atif – who was based in the Mohmand tribal region – was reported to be among several reporters in the area who had been receiving threats because of his work. A bystander who was with him at the time of the attack was seriously injured. Mr Atif was buried on Wednesday in his home town of Shabqadar. A spokesman for the militants told the BBC that he was shot dead for not conveying the Taliban’s point of view. The spokesman said that he had been warned many times before for not telling their side of the story. The BBC’s Syed Shoaib Hasan in Karachi says that the Taliban had warned of dire consequences in recent propaganda statements and videos. The militants said that they would attack facilities and employees of media organisations if they did not refrain from what they called “malicious propaganda”. Our correspondent says that it is the first time that the militants have accepted responsibility for such a killing. Mr Atif, 40, complained that he had received threats from militants in Mohmand several months ago and had moved away from there to the nearby town of Charsadda. In a statement, Voice of America (VOA) said that he had been working for its Deewa Radio service since 2006. “Mr Atif risked his life on a daily basis to provide his audience with fair and balanced news from this critical region and we mourn the loss of our colleague,” VOA Director David Ensor said. It said that the murdered reporter also worked for local TV stations in Pakistan’s Federally Administered Tribal Area, a region where Taliban and al-Qaeda militants are active. January 18, 2012 || The Express Tribune. 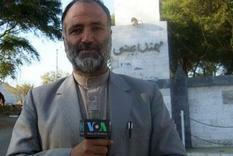 The Talibans admit killing of Journalist MK Atiff, pictured here and say more Journalists will be targeted soon. LAHORE: The Human Rights Commission of Pakistan has condemned the assassination of a journalist in Charsadda and expressed concern that despite official assurances, journalist killings have continued across the country. Mukarram Khan Atif, who worked for the Voice of America among other media organisations, was gunned down on Tuesday by Tehreek-i-Taliban Pakistan (TTP) militants who said that the journalist was killed for creating anti-Taliban propaganda in the foreign media. Mentioning Interior Minister Rehman Malik’s advice to journalists last year that they should arm themselves for their own safety, the HRCP said that journalists and civil society still expects that authorities should show more resolve in protecting journalists and tracking down their killers. “The government must realise that if it has tried anything to ensure protection for journalists, it clearly has not worked. It is not entirely unreasonable for journalists to question the government’s commitment to protecting them in view of its failure to bring to justice the killers of even one of the many journalists killed during its tenure,” the statement said. A painful Eid in Quetta. 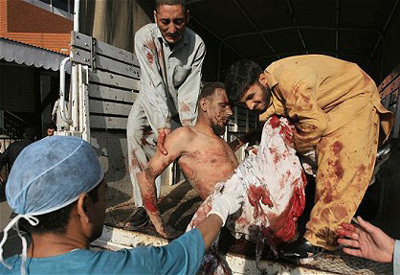 Sunni Jihadi blast kills 11 Shia, injures 20 on Eid day. Eid in Pak style. 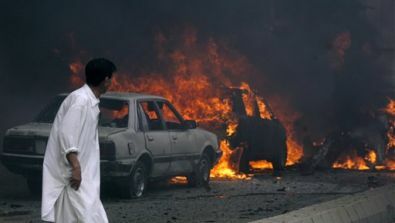 Celebrating Eid in Pak Style : August 31,2011 : A Pakistani looks to burning cars after a suicide bombing in Quetta, Pakistan : Pic. AP. Clebrating Eid Day : Pak Sunni Style. 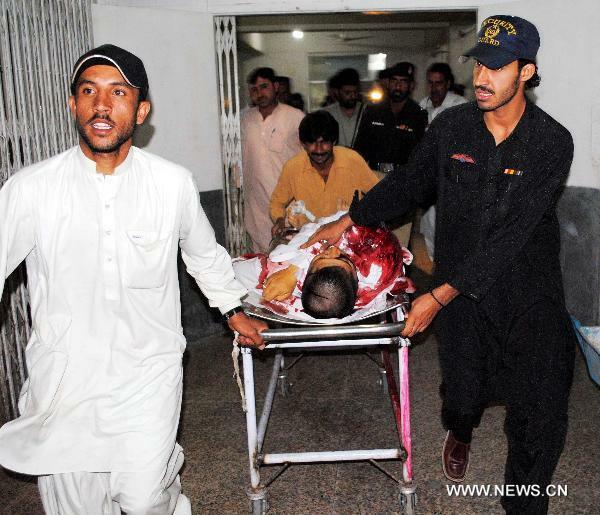 Quetta blast kills 11, injures 20 on Eid day. A police official says a car bomb has exploded in Quetta, killing at least 11 people. 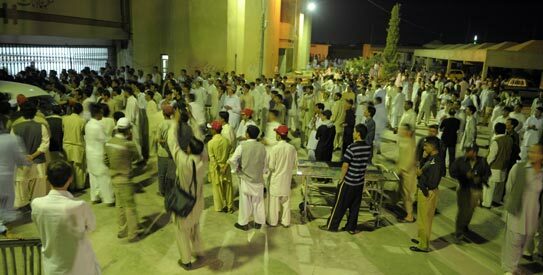 QUETTA, Pakistan ||Shawwal 01, 1432 || Wednesday, 31 August 2011 – A suicide car bomber attacked worshippers in southwestern Pakistan on Wednesday as they were heading home after morning prayers at the start of an Islamic holiday. The blast killed at least eleven people, officials said. The attack occurred in Quetta, the capital of Baluchistan province, which is home to both Taliban militants and nationalists who have waged a decades-long insurgency against the Pakistani government. No group immediately claimed responsibility for the bombing. There were conflicting reports about the death toll from the blast. 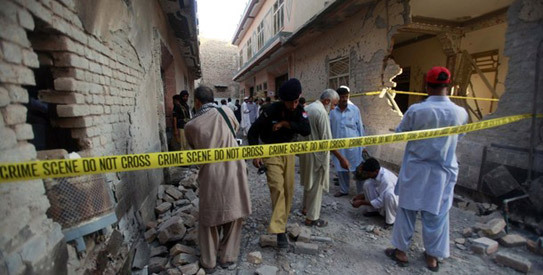 Initially, Quetta police chief Ahsan Mahboob said five people were killed in the suicide attack. But Babul Baluch, a member of the Edhi Foundation, which runs ambulance services throughout Pakistan, said 10 people were killed. The blast also wounded at least 17 people and damaged nearby vehicles and buildings, said Mahboob. Now, the sources confirmed the death toll of 11 people injuring another 20. Abdul Jamil, a resident nearby says the blast occurred on Wednesday as hundreds of people were leaving a mosque in Quetta, the capital of Baluchistan province. The crowd had just finished morning prayers to mark Eid al-Fitr. Jamil says at least 20 people were wounded in the attack. No group immediately claimed responsibility. A car bomb Wednesday killed at least 11 people and wounded 20 others in the restive southwestern Pakistani city of Quetta, police said. The bomb exploded in a parking lot after Eid prayers, senior police official Mohammad Hashim told media. 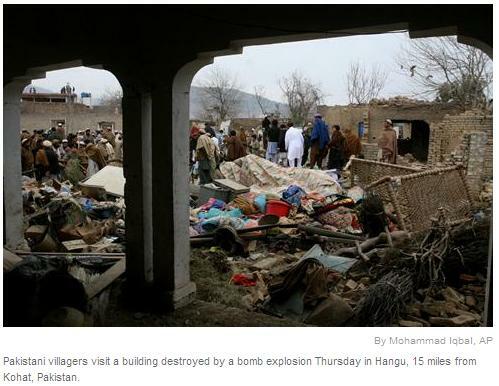 “At least 11 people were killed and 20 others wounded,” Hashim said. Hashim said there had been no immediate claim of responsibility and police could not speculate who could be behind the bombing, although the blast site was in an area populated by minority Shiite Muslims. Hospital official Rasheed Jamali said there was one woman among the five dead brought to hospital. Witnesses said several cars parked nearby also caught fire and a house was damaged. Live television footage showed swirls of thick, black smoke as people ran into the street, some pushing their cars to safety, while ambulances carried away the wounded. I prayed to Allah to give a chance to convey a peaceful Eid greetings to all. But I am unfortunate enough. 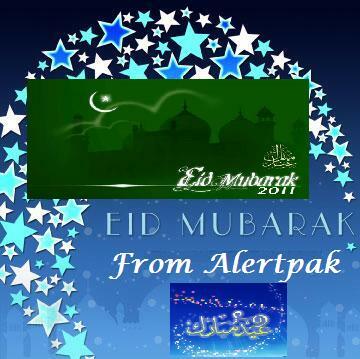 A painful Eid Mubarak to all. These days, I am very much unwell. This blog is not updated. It could not be. Who are requesting me again again for this, I am saying sorry to my brothers and sisters. Please make dua for me for a prompt recovery and world peace. A twin bomb attack at a supermarket in Pakistan’s northwest city of Peshawar late Saturday night has so far claimed 35 lives and injured over 100 others, said local officials on Sunday (12th June, 2011). Rescue team members and hospital sources said that the death toll could further rise as there could be still some people trapped in the debris of the collapsed buildings following the blasts and many of the injured admitted to the local Lady Reading hospital were still in critical conditions. The attack came at about 23:50 p.m. local time Saturday when a first bomb, which was relatively small in intensity, went off at the Khyber market in the downtown area of Peshawar, leaving three people injured. As the rescue team rushed to the blast site, a 17-year-old suicide bomber rammed his motorcycle laden with an estimated 10 kg of explosives into the crowds of the people gathering at the site, killing many people right on the spot. Over 20 shops near the blast site were destroyed. A two-storied hotel collapsed following the huge blast and many people inside the hotel were buried under the debris. Some local media office buildings near the blast site were also damaged. At least one journalist was killed and three other media personnel were injured in the explosion. The blast also triggered off a big fire, which burned to death at least three people. During the search operation following the blasts, police have arrested three suspects and the bomb disposal squad has found the head of the suicide bomber on the spot. 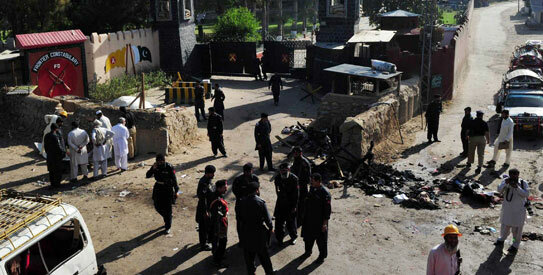 Shortly after the twin blasts, Pakistan Taliban have claimed responsibility for the attack. Both Pakistani president and prime minister have strongly condemned the terrorist attack. 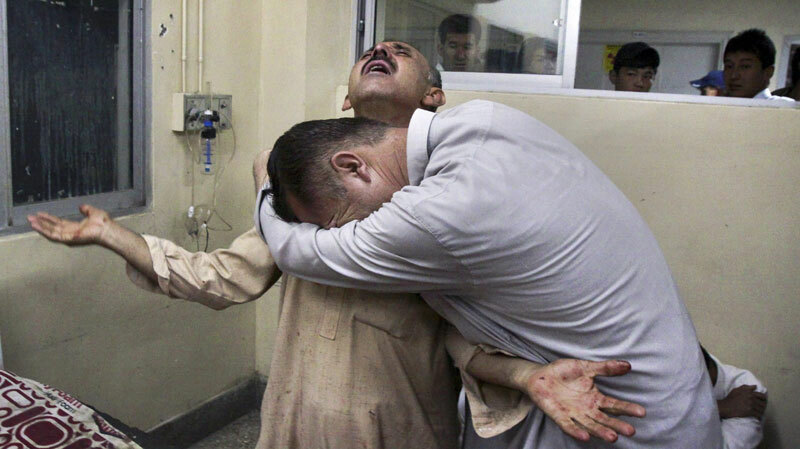 Saturday night’s twin bomb attack in Peshawar is the most serious of its kind in Pakistan since this month. Following the killing of the al-Qaida chief Osama bin Laden by the U.S. special task forces in Pakistan on May 2, both al-Qaida and Pakistan Taliban have vowed to avenge the death of bin Laden. Since then Pakistan Taliban have launched a serious of terrorist attacks in the country, including a twin suicide bomb attack at a training center of armed border police forces in Charsadda in northwest Pakistan on May 13, which killed 98 people and injured more than 140 others. 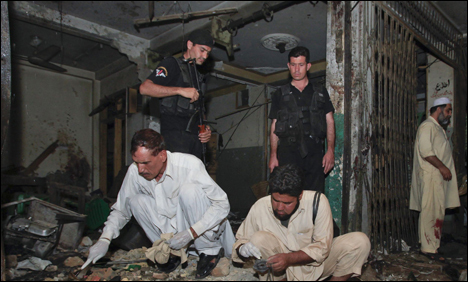 On May 20, a bomb attack was reported in Peshawar. The target was the diplomats of the U.S. consulate in the city. During the attack two U.S. diplomats were injured and several others were killed. Two days later, on late night of May 22, Pakistan Taliban launched a surprise attack at a naval air base in Pakistan’s southern port city of Karachi, which killed 13 security personnel, destroyed two U.S.-made P3C Orion surveillance planes and one helicopter. 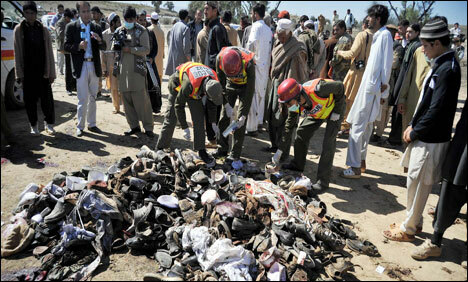 On May 26, 36 people were killed and over 50 others injured in a suicide blast in Pakistan’s northwest city of Hangu. Most of the killed and injured were police. Local watchers believe more bigger terrorist attacks could follow in the country in the near future. To take revenge for Osama’s Death, Tehrik-e-Taliban took 80 life of Muslims. Twin blasts kill more than 80 in Charsadda, Pakistan. SHABQADAR: The Tehrik-e-Taliban on Friday claimed their first major strike in revenge for Osama bin Laden’s death as more than 80 people were killed and at least 115 were wounded in a suicide and bomb attack on FC personnel. “This was the first revenge for Osama’s martyrdom. Wait for bigger attacks in Pakistan and Afghanistan,” spokesman Ehsanullah Ehsan told AFP by telephone from an undisclosed location. It was the deadliest attack in the nuclear-armed country this year and came with Pakistan’s military and civilian leadership plunged into crisis over the killing of the al Qaeda chief by US commandos on May 2. The explosions detonated in the Shabqadar Tehsil of Charsadda, as newly trained FC cadets were getting into buses and coaches for a 10-day leave after a training course, and they were wearing civilian clothes, police said. Shabqadar is about 30 kilometres north of Peshawar, the main city in the northwest region where militants linked to the Taliban and al Qaeda have repeatedly attacked government forces. Ahmad Ali, a wounded paramilitary policeman, recalled the horror when the explosions turned a festive Friday morning into a bloodbath. “I was sitting in a van waiting for my colleagues. We were in plain clothes and we were happy we were going to see our families,” he told AFP by telephone from Shabqadar hospital. Police officials confirmed that more than 80 people had been killed, making it the deadliest attack in Pakistan since November 5 when a suicide bomber killed 68 people at a mosque in the northwest area of Darra Adam Khel. “The suicide bomber came on a motorcycle and blew himself up among the FC personnel. The bomb disposal squad told me the second bomb was planted,” said the police chief of the Charsadda district, Nisar Khan Marwat. He said that around 20 shops and 12 vehicles were destroyed in the intensity of the blasts and put the death toll at more than 80. “Most of those killed are FC cadets. 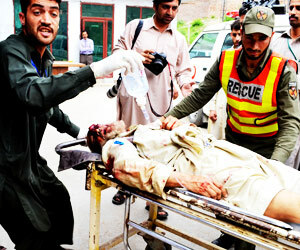 Five dead bodies of civilians were taken to the Shabqadar hospital,” he added. There was no immediate claim of responsibility, but the Pakistani Taliban last week threatened to attack security forces to avenge bin Laden’s killing in a US helicopter raid in Abbottabad. There has been little public protest in support of bin Laden in a country where more people have been killed in bomb attacks in the past four years than the nearly 3,000 who died in al Qaeda’s September 11, 2001 attacks. But under growing domestic pressure to punish Washington for the bin Laden raid, Pakistan’s civilian government said Thursday it would review counter-terrorism cooperation with the United States. It was unclear if the move was intended as a threat, but it showed the extent of the task facing US Senator John Kerry as he prepares to embark on a mission to shore up badly strained ties with Washington’s fractious ally. Washington did not inform Islamabad that an elite team of Navy SEALs had helicoptered into the garrison town of Abbottabad until the commandos had cleared Pakistani airspace, carrying with them bin Laden’s corpse. The covert night-time raid has plunged Pakistani politics into turmoil with both President Asif Ali Zardari and Prime Minister Yousuf Raza Gilani facing calls to resign. Pakistanis have been outraged at the perceived impunity of the US raid, while asking whether their military was too incompetent to know bin Laden was living close to a major forces academy, or, worse, conspired to protect him. Gilani chaired a defence committee meeting that decided “to institute an inter-agency process to clearly define the parameters of our cooperation with the US in counter-terrorism”, an official statement said. Washington is pressing Islamabad to investigate how bin Laden and several wives and children managed to live for five years under the noses of its military in Abbottabad, just 40 miles north of Islamabad. Courtesy : Dawn | AFP. 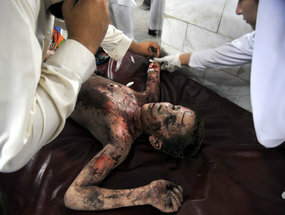 Update : Bombs kill 42 at shrine in Pakistan | Los Angeles Times | April 3, 2011, 11:16 a.m. Reporting from Islamabad, Pakistan— Two suicide bombers killed at least 42 people at a shrine in central Pakistan on Sunday, the latest in a series of attacks on places of worship linked to sects opposed by militants. A Muslim shrine in Pakistan has been hit by two explosions, with unconfirmed reports of casualties. Officials told reporters at least five people had been killed and 30 more injured in the blasts at a shrine in the Dera Ghazi Khan district of Punjab. Initial reports said the explosions struck a shrine belonging to Sufis – a minority branch of Islam regarded as heretical by hardliners. Militants attacked another Sufi shrine last year, killing six people. 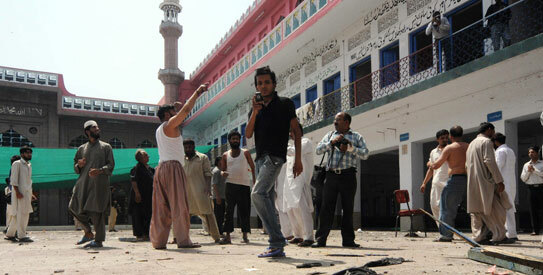 The latest blasts hit near the Sakhi Sarwar shrine, and devotees were reportedly among the dead and wounded. Thousands of people had been marking the annual festival of Urs at the time of the blasts. There is no indication of who carried out the attack, although one official said he suspected suicide bombers. MULTAN: An emergency official says the death toll from a pair of suicide bombings at a shrine in Pakistan has risen to 30. 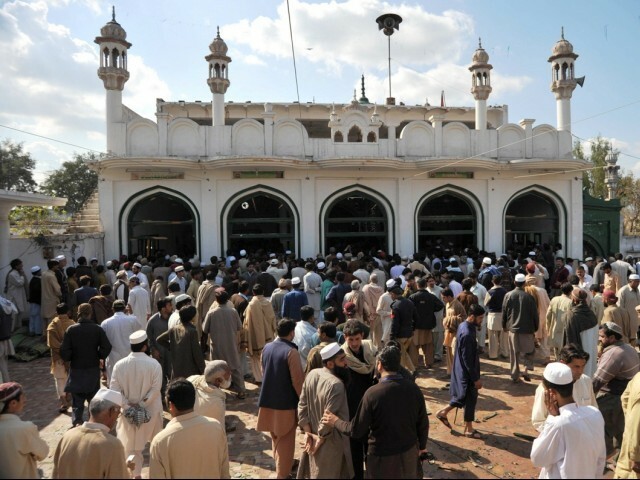 Thousands of people were visiting the shrine in Dera Ghazi Khan district in Punjab when the bombers struck Sunday. Emergency coordinator Natiq Hayat says 30 people have been killed and 100 wounded. 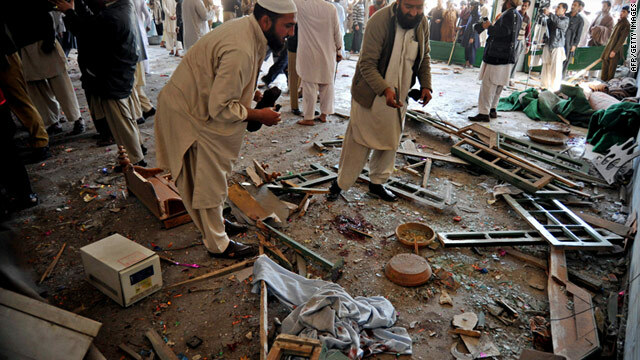 Militants believe visiting shrines is against the spirit of Islam and have carried out such attacks in the recent past. 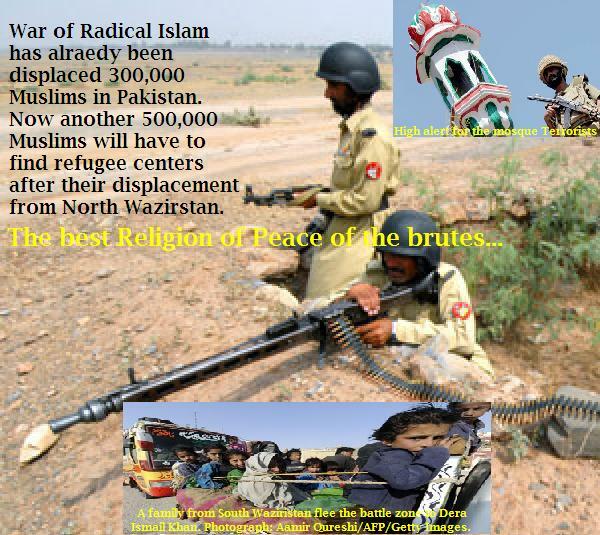 Radical Islam puts a havoc displacement of native Muslims in Pakistan. Islam against Muslims !! The official said about 50,000 families (roughly 500,000 individuals) could be displaced from the N. Wazirstan agency. By Zulfiqar Ali | From the Newspaper |Curtesy : Dawn. PESHAWAR: The federal government has directed the Fata Disaster Management Authority to prepare a contingency plan for thousands of families likely to be uprooted after a military operation in North Waziristan Agency, an official told Dawn on Saturday. The official said about 50,000 families (roughly 500,000 individuals) could be displaced from the agency, where speculations about the military operation against militants have been doing the rounds for quite some time. The army has deployed over 20,000 troops, including two wings of the Frontier Corps, in the agency. The region is regarded as a bastion of Al Qaeda and Taliban. “The FDMA has received directives from the federal authorities to chalk out a plan in consultation with the United Nations’ agencies and other humanitarian bodies to cope with the displacement,” he said. Knowledgeable sources said the federal government had not set any timeframe for completion of the contingency plan, but the FDMA had been asked to keep the plan ready. “We have been asked by the authorities to complete the task as soon as possible, but we have no idea about the timing of a military offensive,” the sources said. The US government has been pressuring Islamabad, since the Times Square (New York) bomb plot in which a Pakistani national Faisal Shahzad was arrested in May last year, to launch an operation against militant groups, particularly the Haqqani network, to dislodge them from their redoubt in North Waziristan. The Tehrik-i-Taliban Pakistan (TTP) had claimed that it had masterminded the car bomb plot. Islamabad, however, has stuck to the line that it alone would take a decision on the launch of an operation, citing lack of resources as the biggest handicap. The FDMA, according to officials, had alerted the UN and its satellite organisations to the likelihood of a big displacement in the event of an operation, advising them to make provisions for shelter, food and other assistance. They said that sites would be identified and selected for relief camps after consultations with the UN and other stakeholders. According to official estimates, 50 per cent of the families feared to be displaced would take shelter in relief camps and the rest would settle with relatives and in rented houses. Sources said camps were likely to be set up in neighbouring districts. About financial resources, they said UN agencies had expressed willingness to foot the bill for tents, food, NFIs, water, sanitation and health. Officials said the average cost of a tent was 310 dollars. The FDMA is already looking after 148,893 registered displaced families (over 1.1 million individuals) which had been displaced due to violence and subsequent military actions in the Federally Administered Tribal Area (Fata). About 23,505 families have been living in camps and 125,388 other displaced families have been staying with their relatives. A recent military action in Mohmand Agency caused the displacement of some 6,000 families. They were accommodated in two camps. On the other hand, the IDPs displaced from Orakzai and South Waziristan agencies have started returning home. 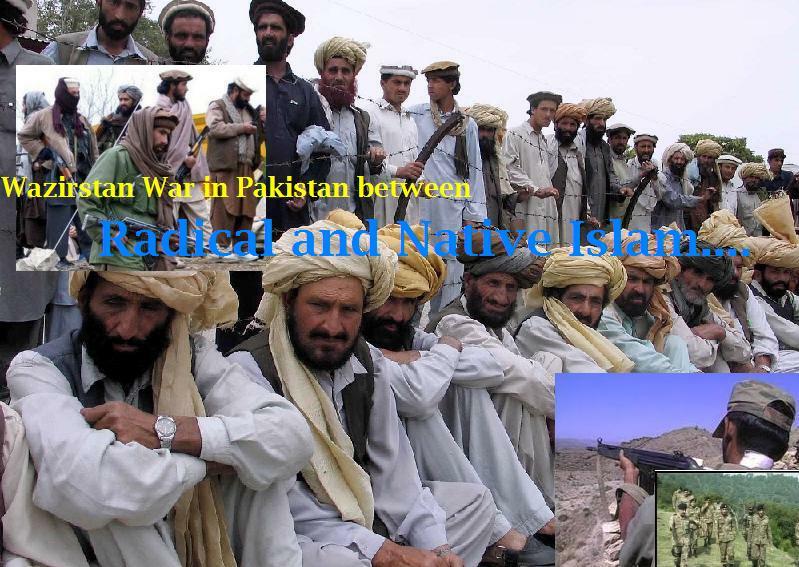 North Waziristan: To Be or Not To Be an Islamic Terrorist? Courtesy : Dawn || Revista-Amauta || Opinion-Maker. Talibans attacked Adezai funeral prayers in Pakistan. Targeted bombing kills 36, injured 100. 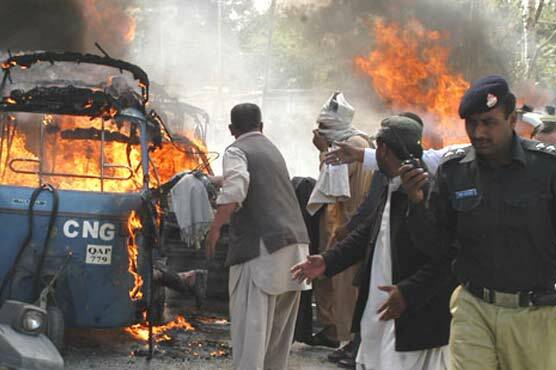 Blast in funeral procession kills 36 in Peshawar; Taliban claim responsibility and delighted with Allah ho Akbar…. PESHAWAR: Now Talibans in Pakistan are delighted with the arrangements of many funeral at a time through the holy blast in funeral prayers. 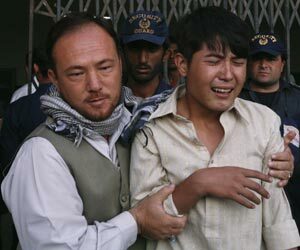 A teen aged male suicide bomber attacked a funeral procession in Adezai on Wednesday (9th March 2011) killing at least 36 people and injuring 100 others, Agency News reported. The suicide bomber was targeting members of an anti-Taliban militia attending funeral prayers for the wife of a militiaman in Adezai village, near Peshawar that leads to the border tribal regions, DCO Peshawar, Siraj Ahmed, said. “People had gathered and had just started praying when a boy walked in and blew himself up,” survivor Mohammad Eman told Geo News. Tehrik-e-Taliban Pakistan claimed the responsibility of attack. The Pashtun elder whose relative was being buried on Wednesday is involved with a pro-government militia force. It was not immediately clear if he had been killed or wounded in the explosion. ”We will carry out more such attacks if they did not stop their activities,” he said via phone from an undisclosed location. The attack came a day after militants set off a car-bomb at a natural gas filling stationin the central city of Faisalabad killing at least 25 people and wounding about 125. Courtesy : DawnNews | The News | Agencies | AP. The blast took place near the mosque in Nowshera’s Akbarpura area when food was being distributed to the poor after midday Friday prayers, a Reuters report said. A shrine is also situated near the mosque. Ten worshippers, including a child, were killed and 30 others injured when a powerful bomb blast ripped through a mosque within a Sufi shrine at Nowshera in northwest Pakistan today. The explosion targeted the mosque inside Akhun Punjo Baba mazar (shrine) in Akbarpura area of Nowshera, about 15 km from Khyber-Pakhtunkhwa capital Peshawar. Scores of people were offering Friday prayers at the mosque while hundreds had gathered to take food from a ‘langar’ or community kitchen. Ten worshippers, including a child, were killed, the police said. At least 30 others were injured and the condition of eight was described by the officials as serious. The injured were taken to hospitals in Nowshera, Pubbi and Peshawar. A witness told Geo News channel that the blast occurred just after the prayers ended. “The blast occurred within the mosque,” he said. He estimated that over 1,000 persons were present in the shrine. No group has claimed responsibility for the blast. The explosion was heard from several kilometres away. Reports said the blast was caused by a remote controlled bomb hidden in a cupboard within the mosque. Footage on television showed caps and shoes strewn within the mosque. Windows were blown out by the blast, which also caused extensive damage to the walls of the mosque. Witnesses said many worshippers were hit by shrapnel. They added that there was almost no security at the shrine complex. The Pakistani Taliban are opposed to the practice of worshipping at Sufi shrines and consider it “un-Islamic”. The Taliban have claimed responsibility for several recent attacks on Sufi shrines in cities across Pakistan, including Lahore and Karachi. President Asif Ali Zardari and Prime Minister Yousuf Raza Gilani condemned the bomb blast in the mosque. In a message, Zardari described the attack as an “abhorrent act” and said its perpetrators were the enemies of Islam. “The government would continue to take a firm stand against extremist and terrorist elements across the country and would not be cowed down by such acts of violence,” he said. Nowshera has been targeted by militants in the past too. On June 12, 2009, at least six persons were killed and over 90 injured when a suicide bomber rammed his explosives-laden truck into a mosque within an army supply depot in the city. — PTI & Agencies. PESHAWAR, Pakistan (AP) — A powerful explosion targeting police in Pakistan‘s troubled northwest killed three officers and four civilians Thursday (3rd March,2011) police said. The attack happened in the Hangu area, just outside the tribal regions along the Afghan border where al-Qaeda and Taliban fighters have long operated, said senior police official Rasheed Khan. It underscored the continued strength of the militants, despite army operations against them. The bomb was hidden in a vehicle in a residential area where a small police station was located. It went off as a police vehicle carrying officers drove by, Khan said. The blast also wounded 30 people and damaged around a dozen houses, he said. The U.S. has pressed Pakistan to eliminate hide-outs used by Islamist insurgents, saying they threaten not only American and NATO troops in Afghanistan but also the stability of nuclear-armed Pakistan itself. But even as Pakistan has carried out some operations against militants, it has found itself challenged on other fronts that threaten to bring down the weak civilian government, notably a struggling economy. After months of delaying it, the government this week raised fuel prices 9.9% because of spikes in international markets spurred by strife in the Middle East and North Africa. The price increase has angered opposition parties and even some allies of the ruling party, who have urged the government to reverse the hike. Earlier this year, the ruling party narrowly avoided a collapse of its governing coalition over another attempted fuel price hike. Public transportation workers in the southern port city of Karachi went on strike over fuel prices Thursday. The strike crippled much of the city, which is Pakistan’s most populous with 18 million people as well as its main economic hub. Many schools were closed. Irshad Bukhari, the president of the Karachi Transport Union, said more than 25,000 buses and other vehicles stayed off the roads. Millions of commuters could not travel as a result, he said, expressing confidence they supported the strikers. “People respond to our strike call because it is not only the transporters’ problem but also the people who have to bear the cost of higher fares,” he said. Courtesy : Reuters || AFP || AP || PTI || Agencies.